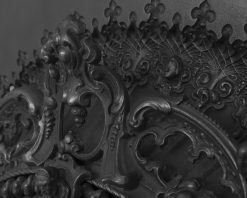 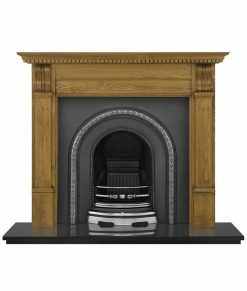 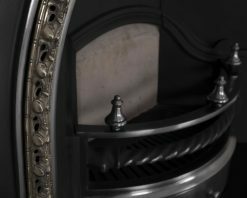 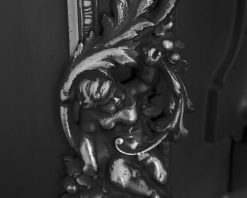 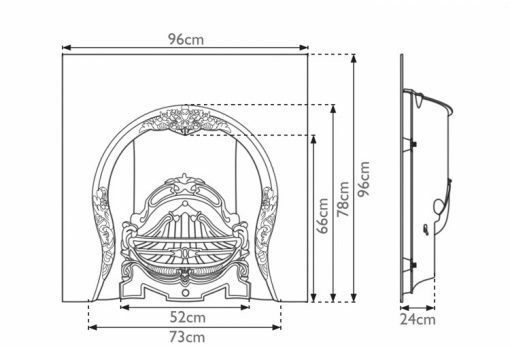 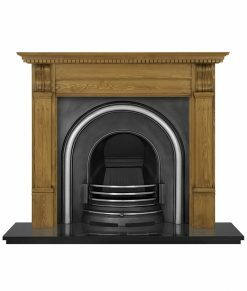 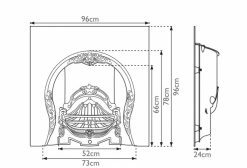 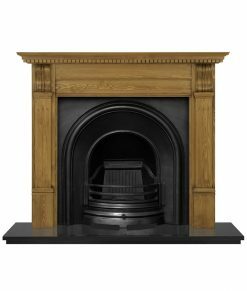 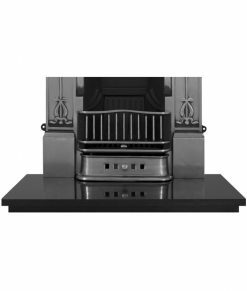 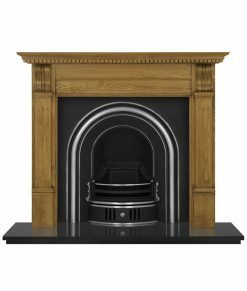 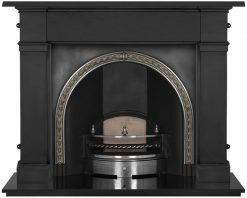 The Tiffany fireplace insert is an authentic reproduction of an original early Victorian cast iron fireplace, dating from around 1860. 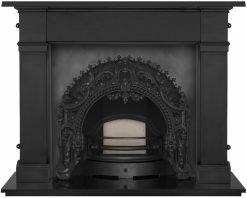 The Tiffany fireplace insert is an authentic reproduction of an original early Victorian cast iron fireplace, dating from around 1860. 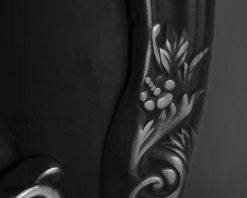 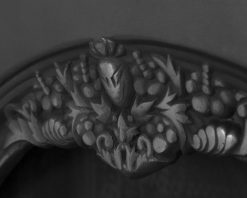 The horseshoe archway is decorated with fruit detailing and floral motifs. 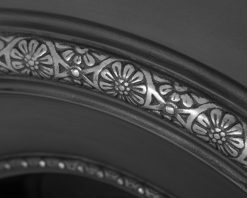 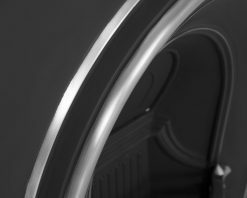 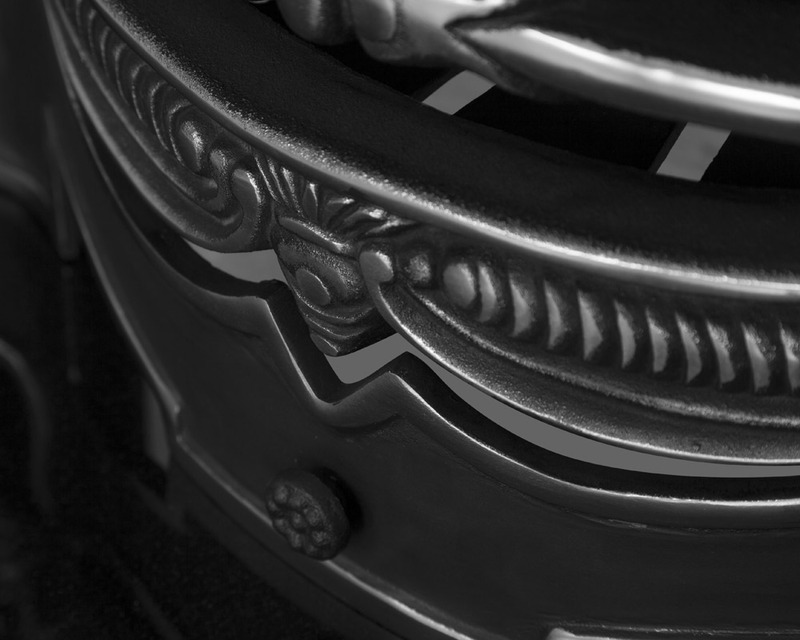 The front bars that curve around the insert’s opening compliment the pattern. 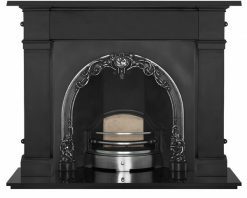 The Tiffany is available in highlighted polish and can be used for solid fuels with the optional ash pan (HEF036). 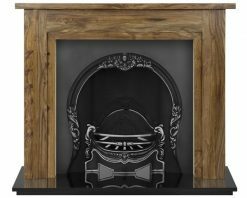 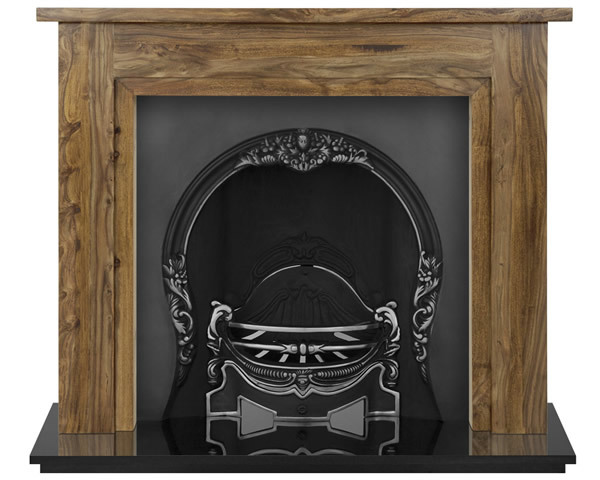 The Tiffany fireplace can be fitted with any of our fire surrounds. 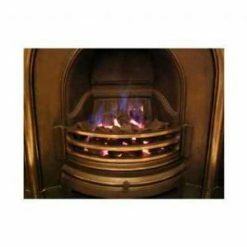 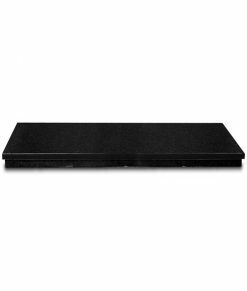 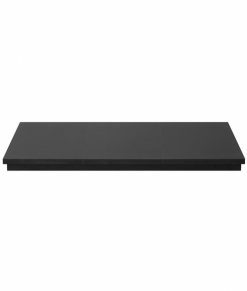 Available in highlight polish finish, it can be used for solid fuels with the optional ash pan (HEF036) but is not suitable for gas inserts. 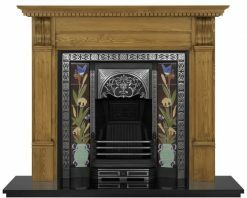 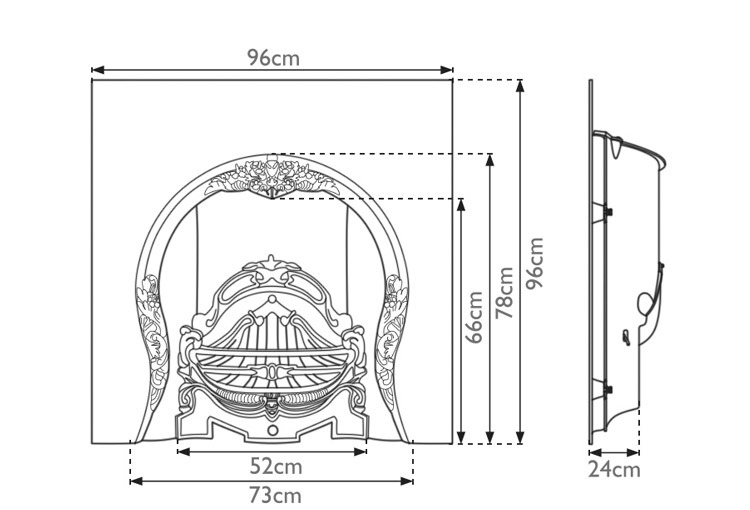 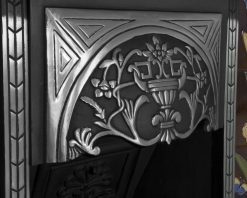 The Tiffany fireplace is produced by Carron.